Falernia vineyard was founded in 1998 after Aldo Olivier Gramola discovered the potential to produce wines of excellent quality in this arid valley apparent! 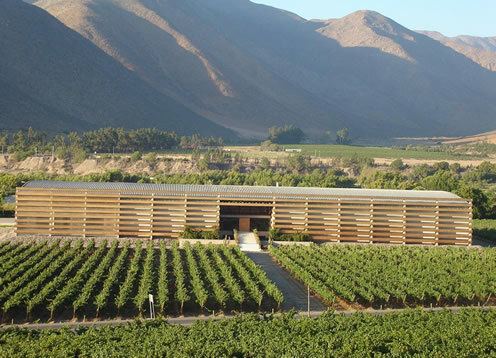 Aldo settled with his family in the Elqui Valley in 1951 from Italy, and has been producing grapes since 1975. The project was conceived after him, he met with his cousin Giorgio Flessati, winemaker of the region of Trento, in the northern Italy. is this an innovative business, since Viña Falernia is the northern border of Chilean wines and is far from the traditional wine producing area in Chile. The driving force of this company has been the passion for wine and the challenge of transforming a semiarid region in green vineyards, with a potential to produce wines of excellent quality, having latest technology. In addition it has the support of agronomists of the most prestigious universities in Chile and oenologists great career worldwide.